Becoming one of the world's most published surf photographers doesn't happen without a massive passion for your subject, one that extends beyond the traditional. Yassine Ouhilal, known as Yassy to his friends, lives in Nova Scotia and has surfed since he was a teenager, but is originally from Montreal, where he studied film for years. "All I did was surf films. For the last 10 years I've been making a living as a surf photographer travelling all over the world, shooting off the beaten path...generally the colder destinations, not your typical Hawaii, California, Australia. It's a niche I made for myself." It is the popularity of the sport in those sunnier destinations that drove Ouhilal to find the more unlikely surfing spots. "You could get on a plane to go to Indonesia, the middle of nowhere. You travel three-and-a-half days and find yourself with hundreds of people in the water. The colder locations have been spared for the time being from overcrowding. That's what makes them appealing... you can surf them by yourself or with a few friends. At the same time, there's the potential for discovering new waves that have never been surfed before." Ouhilal's latest project brought him back to the moving image---Arctic Surf Film, a short that screened at the Atlantic Film Festival in September, features surfers hitting the beaches in Norway and Russia. But Ouhilal says Nova Scotia is a great place to train for cold weather surfing with the right equipment and attitude. "There's definitely some great waves," he says. "Nova Scotia has some of the coldest waters of anywhere I've been in the world. It's a good proving ground if you want to do this sort of thing." 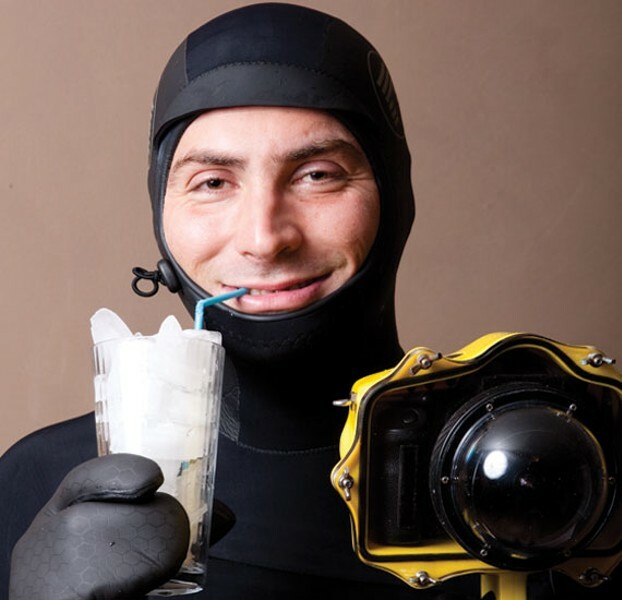 He adds, "I've had salt water freeze on my wetsuit." Visit Ouhilal's website at 72.32.9.12/~youhilal/.